Today's final would be a match between the most balanced IPL Teams of the season. Whatever might be the conditions, both these squad have depth to defeat the opponents. But their squad is optimized for Indian conditions from the top to the bottom. e.g. Three Quality Spinners(KKR - Naraine, Shakhib, Iqbal & CSK - Ashwin, Jadeja & Jakat) and One more very good spinning option available if needed. (KKR - Yusuf & CSK - Raina). A long tail with multiple all-rounders coming lower-down in the squad. And, add to all this, a very good mix of explosive and quality batsmen. Barring any injuries, we can expect the same team to compete in the finals. The team would be hoping that Balaji is fit today. If not, we might see Marchant de Lange coming in for McNullum and DB Das coming into the squad. 1. Gambhir: He is the rock in which KKR batting has been built this season. It is important that Hilfy & Morkel keeps Gambhir quiet in the early overs. 2. Sunil Naraine: He has been the IPL bowler of this season. None of the batsman have played him comfortably. How Hussey & Bravo handle him tomorrow would be crucial. Prediction: Expecting a close match tomorrow. But believe CSK will get through - with the yellow brigade backing them. Though both Chennai Super Kings & Delhi Daredevils have a good mix of strike bowlers and explosive batsmen, they approach the game differently. Chennai's explosive batsmen believing in hitting late in the innings while Delhi packs its top order with explosive power. Delhi Daredevils depends on its pace attack while Chennai Super Kings depends on its spinners. And add to this, a contest between the brothers. A mouth watering Qualifier tomorrow. 1. Sehwag & Warner: If it is their day, CSK bowlers would have a tough job of containing them. 2. Ross Taylor: A great battle between Ashwin & Ross Taylor is on the cards. 3. Morne Morkel: He is dangerous in any pitch and can run through the opposite batsmen - in his day. CSK openers needs to be very careful of him. Dhoni: Dhoni, the exceptional captain & Dhoni, the explosive batsman is BACK. Right from bowling Jakatin @ the beginning to the bang-on bowling changes, he got it correct. And seeing the old Dhoni, who attacks the bowlers - right from the first ball - was a welcome change. And that SIX of Malinga was SPECIAL. Jakati & Badri: Both of them have been in & out of the team. And have not got opportunities to shine. But they proved their value to their team today. Ashwin & Hussey: Very Important Contributions from both of them. Raina: Our Star Batsman of the team has not made significant contributions this season. Believe in him to make the key contributions in the next two matches. Fan's Man of the Match: Surely, Dhoni the captain, the batsman and the wicket-keeper. Hope he continues to give such performances for CSK. What do you think about our Chances against Delhi Daredevils? Only constant thing in the ever-changing IPL has been the presence of Chennai Super Kings in the play-offs. But this year, they needed help from DC and DD to reach the play-offs. But the team now knows that they have to win on May 23 - to prove to the world - that they deserve this place. The team has to start treating Jadeja as a bowler who can bat - rather than as an all-rounder. Considering Bravo's form, it might be prudent to send Bravo ahead of Dhoni and use Badri as a floater like yester-years. My biggest worry is that the team does not choose the wrong team (like in Season 2) and put them-self at a disadvantage. Considering Bangalore's batting friendly tracks, it might be prudent to pick Yo Mahesh ahead of Jakati. But the pitch would decide between them. 2. Sachin: Master Blaster has been a key thorn in CSK games. 3.Pollard: In a high-scoring pitches like Bangalore, his role would be pivotal. Prediction: With both the sides packed with explosive batsmen, the team winning the toss would have an enormous advantage. But my heart says CSK would win- with key contributions from its left-handers. My fingers are crossed! What about you? Who would have thought that three teams - RCB, RR & KXIP would miss out the opportunity to reach the playoffs. And Chennai Super Kings have made it - thanks to Deccan Chargers & Delhi Daredevils. Now see you on May 23 for the match against Mumbai in Bangalore. Poor CSK Season comes to an end with a loss to Kings XI Punjab. Now Only Miracles can help us now enter the play-offs. And the miracles generally do happen only for deserving teams. CSK - with such a wealth of talent - depending on other teams to qualify - is simply unacceptable. 1. Bravo: Remember Bravo was only bought for 200k USD in the auction. Buying him was one of the master-strokes. He has proved his value once again. 1. Other Players: None took ownership of the game. After seeing today's match, we don't deserve to be in the IPL play-offs. Hope the team makes a turn-around next year. I blame the poor season on the decision to buy Jadeja in the auction.Who do you blame this poor CSK Season on? Another CSK batsman comes to the rescue. They did not start well. They come back strongly. They do well. There is no way that the opposition can win from here. Then they give the opposition a hope. They tighten their noose around themself. Then the oppostiion believes only a miracle can stop them from winning. And in the middle of this tough situation, CSK Win. Only thing I can say is that "OH! 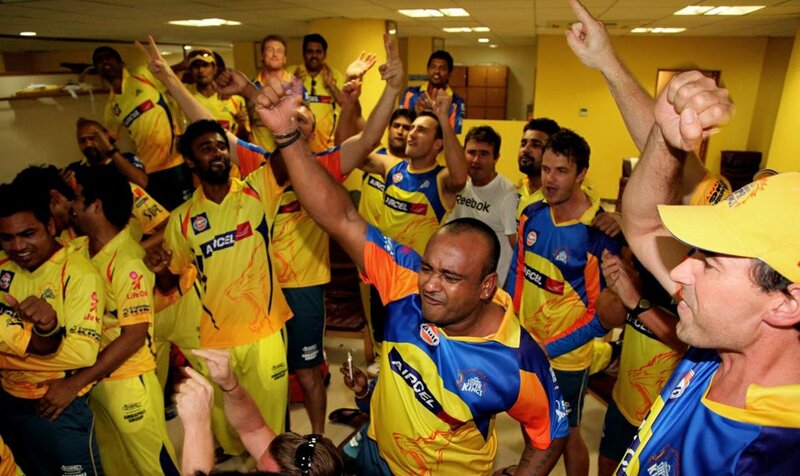 CSK for taking us to such a nervous ride"
1. Hussey & Vijay: Hussey & Vijay continue their form of the last year final. Gave the team - a wonderful platform to win the match easily. 2. Bravo: Cometh the hour, Cometh the man. Fan's Man of the Match: Bravo. For keeping himself cool in the crunch situation - winning with a six from the last ball - is an art. Chennai Super Kings have won 2 of their must-win games. But this is the crucial game of the lot. If CSK wins today, they would be level in points with KKR and would really become a top four game (without the advantage of a game in hand – since MI & RCB’s game means only one of them can overtake CSK). With Faf & Badri expected to be back, the team selection is going to be a nightmare. I for one would like Hussey & Vijay to be retained ahead of Faf & Anirudh. 2. Sunil Naraine: None of the batsmen have picked him this IPL Season. Expecting an interesting battle between Naraine & CSK Middle Order Batsmen. 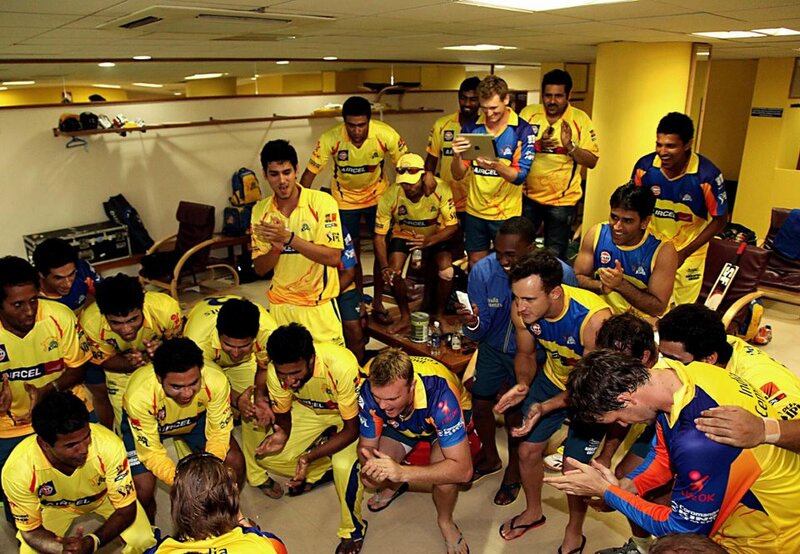 This is the Chennai Super Kings we know. The team that thrashes even the top sides - without breaking a sweat. What a great performance by CSK Team. And Hilfenhauz is finally reprising his awesome form - this season. Now he is the most crucial player for the next two matches. It was surprising to see Yo Mahesh - missing out from the team - after a fine performance in the last game. And Badri & Faf - still being away from match fitness - meant Hussey & Anirudha stayed on the team. Now Chennai moves on to the next stage - where they have to necessarily win both the away matches - to keep their semi-final hopes alive. Hilfenhauz: Cometh the hour, Cometh the Man: Amazing performance by HIlfenhauz on setting up the win. Fan's Man of the Match: Hilfenhauz - on the way he has redeemed himself - after those three awful balls in MI match. Now he has to help CSK win the next 2 matches.